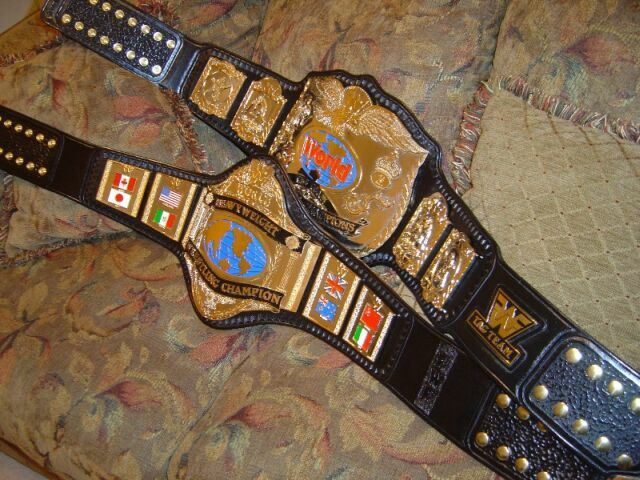 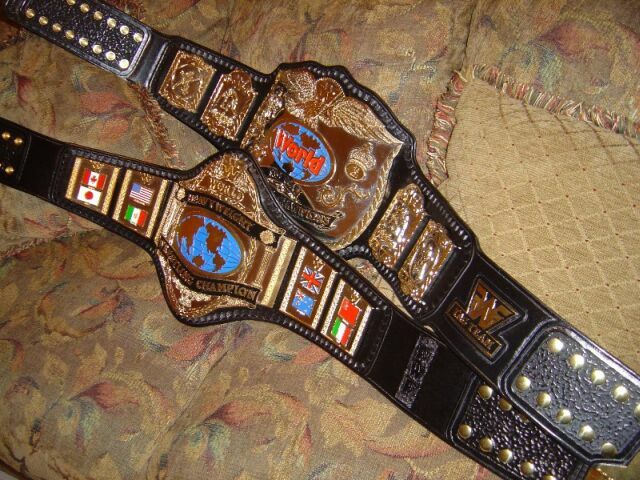 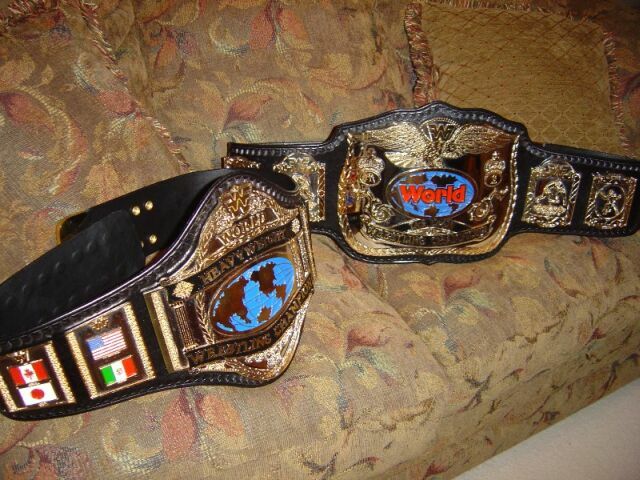 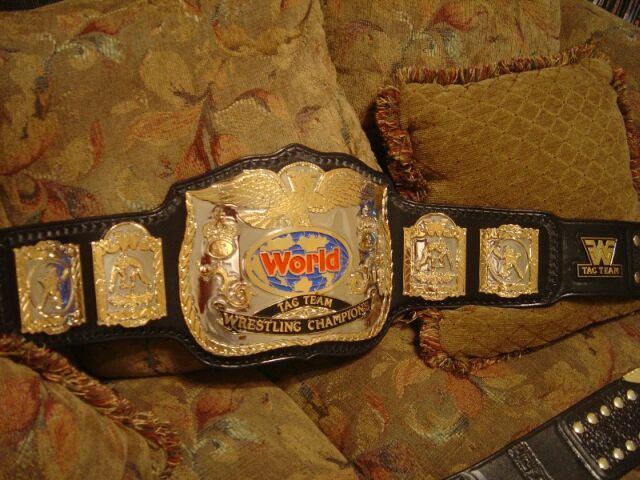 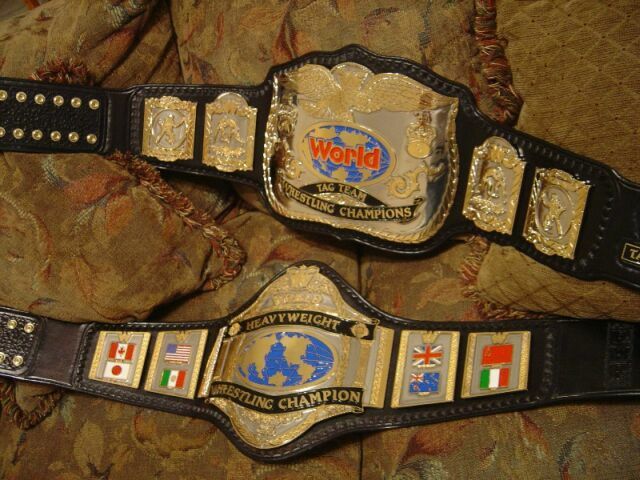 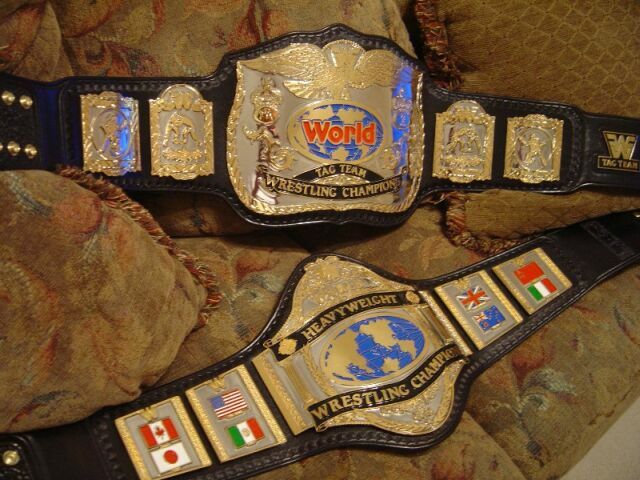 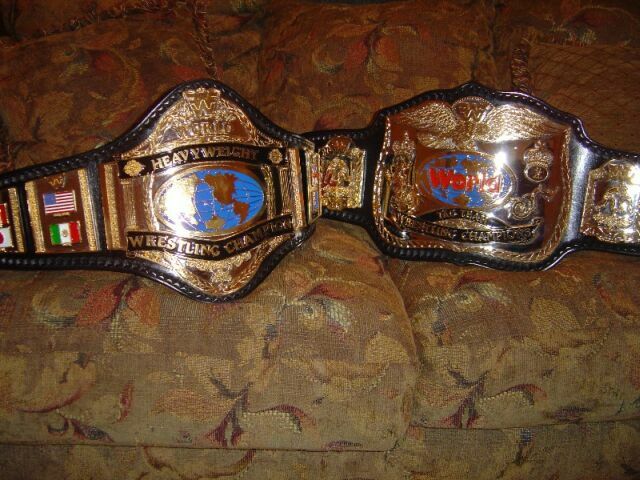 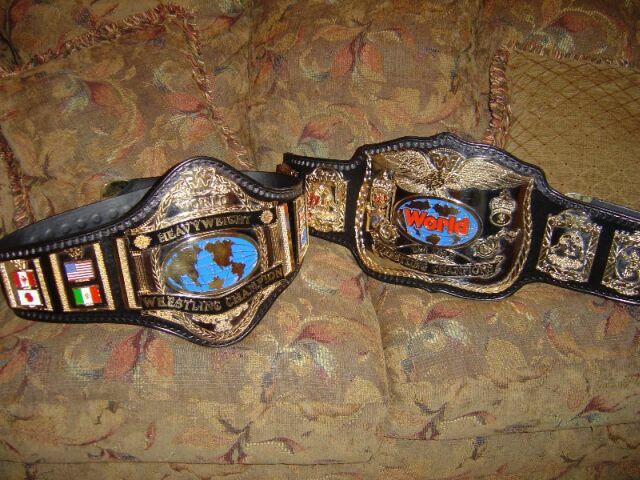 These belts were just finished by Dave and belong to Chris Page. 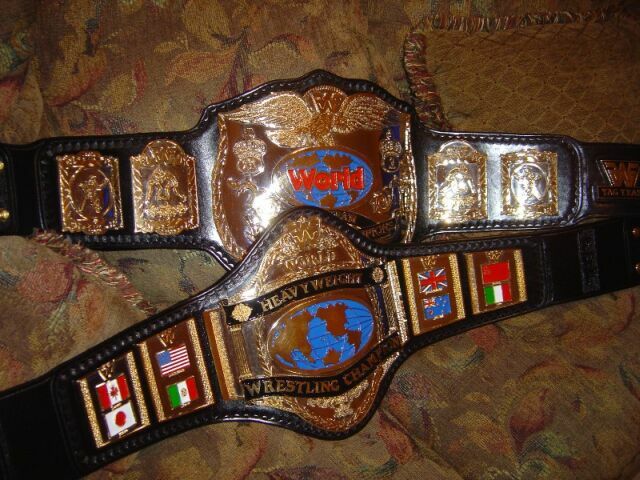 They should be there sometime this month, check out the cool new FWF logos. 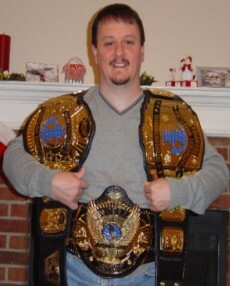 Congratulations brother!